The future of Theresa May as leader of the Conservative Party and as Prime Minister is looking less secure by the day. As Brexit shudders to a halt with parliament failing to back Mrs May's withdrawal agreement and failing to choose an alternative to her deal, twice, a no deal Brexit and a general election are becoming more likely by the day. 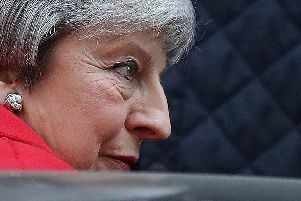 The Prime Minister has already staked her future on the passing of the withdrawal agreement, saying to backbenchers she will quit ahead of the next stage of the Brexit negotiations provided her deal passes. This means the country is likely to see a Conservative Party leadership contest or a general election, and a new Prime Minister. Bookies have May and June as the most likely months for a general election, with May at 11/4 and June at 5/1. Michael Gove, Boris Johnson and Jeremy Hunt lead the polls for the Conservative Party hopefuls. Mr Gove is the bookies' favourite at 4/1 and is seen by many to be a good choice to take charge of the next stage of the Brexit process. Conservative MPs would need to forget his betrayal of Boris Johnson in the 2016 leadership race when he ran against Mrs May instead of supporting the former Mayor of London. Boris Johnson's stock is still high in the party, with many seeing him as the obvious hard Brexit choice from outside the cabinet. However, his time as Foreign Secretary and Mayor of London was prone to gaffes, and the Brexit bus still sticks in the memory of many voters. Labour leader Jeremy Corbyn is third favourite according the bookies, and would need a similar surge at the polls as the party had in 2017 to challenge for a majority. As the longest-serving Health Secretary, Jeremy Hunt is seen as a safe pair of hands for the top role and backs a harder Brexit than other cabinet colleagues. This stance and his reputation could edge him ahead of the likes of Sajid Javid, Amber Rudd, and Matt Hancock. 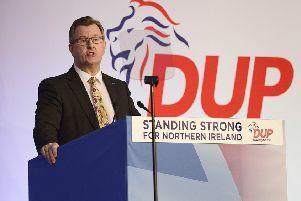 Matt Hancock has publicly backed Mrs May's deal throughout and is considered part of the next generation of Conservative talent and could be a dark horse. Prominent backbencher and leading hard Brexiteer Jacob Rees-Mogg has previously said he will not run for the Tory leadership. However, his popularity with the grassroots of the party could force a shift and a surprise run. Much longer shots such as Leader of the Scottish Conservatives, Ruth Davidson, former UKIP Leader Nigel Farage, and former prime minister Tony Blair are all priced around 100/1, but would need to be elected as MPs before any tilt at the top job.